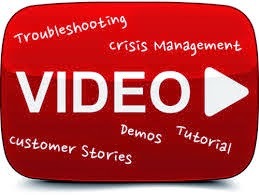 Video has to be one of the best ways to increase exposure and build your brand, especially using the power of YouTube. I have been involved in video for the past 10 years and uploaded my first video to YouTube when it started. I now have over 600 videos, millions of views and 6,000 subscribers. In the first few seconds tell them why they should be watching the video and what they will get from it. Have a call to action at the end of the video with your contact details and a live link to your website. Also tell them to comment, like and share your video as this will help with your views. Frank Furness CSP is a Video Marketing & Social media presenter and author of two best-selling books.